Tory Armageddon or Tory Anti-Climax? Will today’s House of Commons debate votes on the House of Lords’ wrecking-amendments to the EU Withdrawal Bill prove to be Tory Armageddon or anti-climax? This article was first published at The Conservative Woman on Tuesday 12 June 2018. Theresa May’s default instinct is procrastination. Her entire conduct of the Brexit negotiations has been characterised by deferral and delay, rather than decision. Today, however, comes the confrontation she can duck no longer. The House of Lords wrecking amendments to the EU Withdrawal Bill come back to the House of Commons. We can, however, totally dismiss the arguments of Unreconciled Remainers like Chukka Umunna and Gina Miller that for the Government to require all 15 Lords’ amendments to be debated and voted on in just 12 hours or so over the next 2 days is somehow an affront to democracy. It takes either a breathtaking degree of chutzpah, or a staggering lack of self-awareness, for Umunna and Miller to (presumably) believe that their own blatant attempt to overturn the democratic decision of 17.4 million voters and stop Brexit somehow isn’t a far greater affront to democracy, but leave that to one side. In 1999, the Blair Government, of which Umunna was, and Miller I suspect would have been, an enthusiastic supporter, made the Commons consider no fewer than 820 Lords’ amendments to the Greater London Authority Bill in just 5 hours. The Remainers’ faux-outrage over 15 amendments in 12 hours or so over 2 days is risible, as well as being nauseatingly hypocritical. Before her misguided decision to call last year’s election, May probably had the numbers, including the DUP and Labour Leavers committed to respecting the democratic outcome of the EU Referendum rather than Corbynite game-playing, to defeat the amendments and send the Bill back unamended. Now, however, with May’s majority vanished, the picture looks very different, even with the votes of the DUP and those principled Labour Leavers. The rebellion by unrepentantly pro-EU, anti-Brexit Tory backbenchers – notwithstanding that, under a year ago, every single one of them stood for Parliament on a Party manifesto pledging to implement Brexit and leave both the Customs Union and Single Market – is now well into double figures. 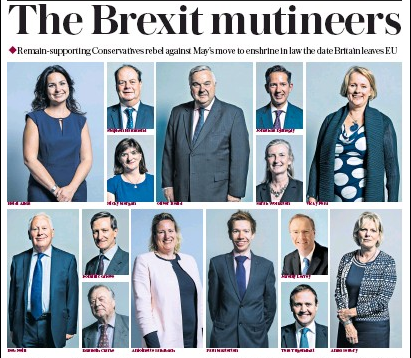 It was boosted by Justine Greening’s refusal to accept a (justified) demotion in May’s Cabinet reshuffle, and by the (also justified) resignation of Amber Rudd as Home Secretary, because both have promptly joined the Soubry and Morgan claque in what is known as Remoaner Corner. 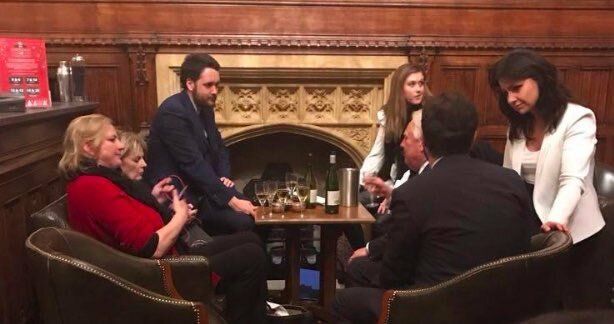 Just in the past few days, former Environment Minister Caroline Spelman has thrown in her lot with them. 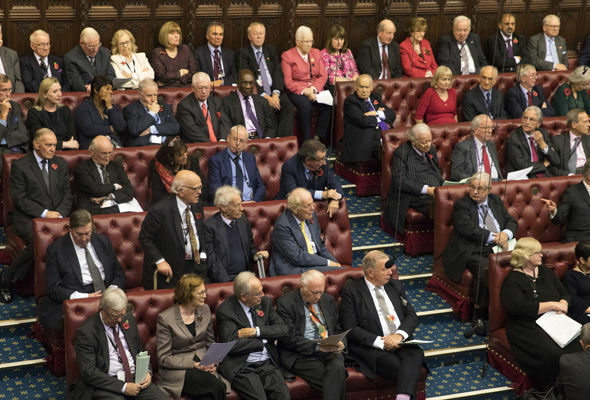 So attention has now reportedly turned to differentiating the 15 Lords’ amendments into Green, Amber and Red categories, in order of acceptabilty. Fine in theory, but most of the Red Amendments on which the Government might actually be inclined to dig in its heels, like continuing Customs Union and/or Single Market membership, or continued ECJ judicial supremacy, are precisely those on which the pro-EU Left in Parliament and the Tory anti-Brexit rebels intend to inflict a defeat on the Government, because they amount to their aim of a soft-as-mush Brexit-In-Name-Only. As if that wasn’t enough, as a prelude the past few days have been dominated by David Davis’ (latest) implied threat to resign over the Northern Ireland backstop. At the time of writing, opinion is divided, depending on whom one chooses to believe, on whether Davis has once again backed down on a fudge, or May has capitulated by agreeing to time-limit the backstop, however nebulously. Firstly, if May really has conceded a time-limited Northern Ireland backstop, (and even if she doesn’t resile from her concession in the face of unrelenting pressure from the viscerally pro-Remain mandarins of the FCO and Cabinet Office), it’s almost certain that Barnier and his Brussels colleagues will reject it out of hand at that EU Summit. Their aim is to exploit the UK/EU border in Ireland to stop Brexit. Secondly, if she goes to that Summit on the back of several Parliamentary defeats brought about essentially by her own disloyal backbenchers, her position will be severely weakened. It’s the Parliamentary arithmetic that will make the EU Summit difficult, not the other way round. But if she won’t, then she must go. 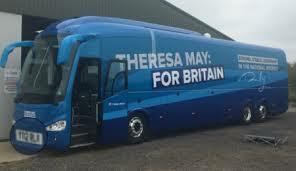 For some time the political blogosphere hasn’t been reticent in calling for May to be ousted, not even necessarily to save Brexit, but because of her manifest inadequacies both as a Prime Minister and Party Leader – I myself called for her to go at TCW on 29 January this year – but now the heavyweight commentators are even joining in, economist and Conservative Andrew Lilico’s devastating indictment of her at Reaction last week being but one example. But her potential Brexiteer ousters, it appears, lack the courage to back their words with deeds. Like so many of their predecessors, it will be their fate to be remembered, not as Tory statesmen who upheld democracy, but Party hacks who, when it came to the crunch, put party before country. Anti-Climax seems far more likely than Armageddon to be today’s outcome.